Every museum professional needs a solid foundation in preservation principles and techniques. 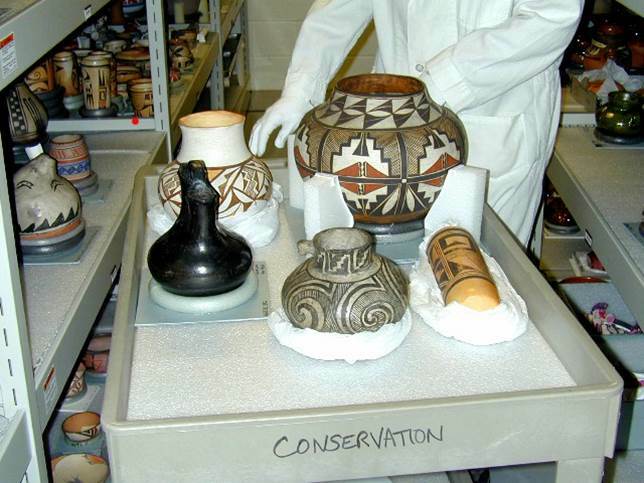 Introduction to Collections Preservation provides an overview of current preservation issues from environmental monitoring to collection cleaning, exhibit mounts and storage furniture. Participants learn about every aspect of the modern museum and how the building, staff and fixtures affect preservation. Subjects include the agents of deterioration, risk management, object handling and transport, object labeling, exhibit lighting, security, emergency preparedness, materials for storage and display, storage and exhibit philosophies, and condition assessments.